This mighty little lantern is surprisingly bright. It is just as happy being hung from a peg or line as it is sitting on a flat surface. It also has a flashlight option which can be used on it's own, or simultaneously with the lantern feature for a really bright unit. It is dimmable, by holding down the power button. 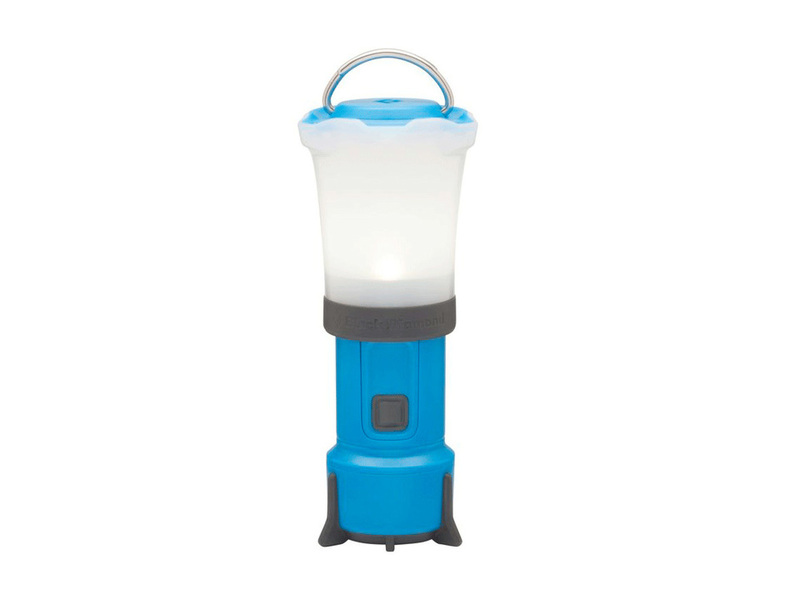 The Black Diamond Orbit battery powered lantern.